News of this track has been circulating for a while, earlier this afternoon Funkmaster Flex premiered the latest track from the Philly spitter featuring Rick Ross. 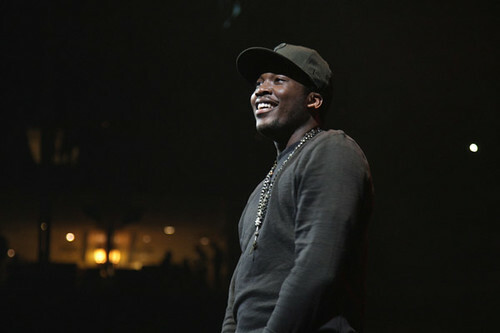 Expect more from the Maybach Music Group empire coming this week. This is hard but I am already over Ross’s flow. Dare I say all these tracks really sound the same. I can’t understand the hype around Rick Ross.. his flows too damn boring. Its got not hip hop in it. Nice beat. Rozay goes in on it. He’s been on fire lately. Milly is starting to grow on me. He did his thing too. Maybach might be a problem soon. i somewhat agree w/ the above comments…on onehand i enjoy the combo of Meek & Ross…however Ross flow/sound is becoming highly repetitive…c’mon son!!! tupac back? this is the most ignorant piece of non sense ive seen you post on here sometimes i wonder if these blogs care at all about the people they serve and the industry they help to crumble, approve the comment or not but look at yourself info you are at the pulse YOU can actually help fix this game not help dumb down our people. I’m sorry but I totally get this song… It’s like the MC Hammer song… I like the concept… I think Ross can make the best Gangsta rap conept songs… Meek was good for about half the song then fell off….